An eew!! moment...did you know teeth hold many secrets. For instance, did you know that 4000 years ago, people in the Indus valley ate curry? It appears that traces of cooked ginger and turmeric mixed with starch grains have been found on human teeth dating from that age...eew!! But interesting, right? Essentially a dish from South Asia, a curry dish has curry paste or powder as its base. Ingredients include among other things, turmeric, cumin, coriander, chilli, ginger, garlic and spices like cinnamon, cardamom and clove. There are as many ways of making a curry as there are curries around the world. Curry made the long, hoary trek to Britain thanks to the silk and spice trade from the Indian sub continent. Selling ice to the Eskimos? It's now done an about turn and come back to its place of origin. Hyatt Regency Chennai is hosting a curry celebration at the Taste of Britain Curry Festival at two of their signature restaurants, Spice Haat and Focaccia. 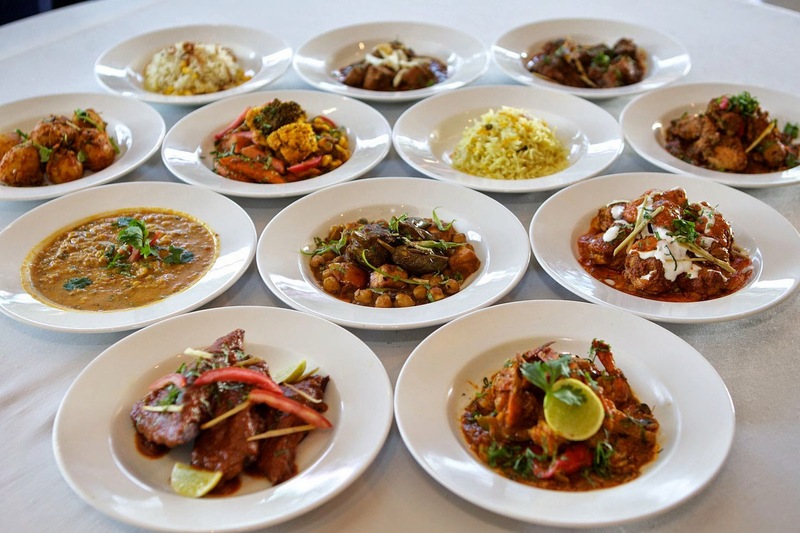 A team of chefs headed by Michelin Star Chef Mark Poynton is in town to cook 60 different curries which include styles like jalfriezi, balti and of course, the British version of chicken tikka masala. Chef Mark is the Chef-Patron of Michelin-starred Alimentum at Cambridge, UK. At the press preview, we met Chef Mark and his team of chefs, British Deputy High Commissioner, Bharat Joshi, Chef Subrata Debnath, Executive Chef of HRC, Syed Nahas Pasha and Syed Belel Ahmed, Editor in Chief and Editor of Curry Life (yes, they have a magazine celebrating curry). That's where we learnt how much the Brits love their curry - chicken tikka masala is their de facto national dish. There are some 12000 curry restaurants in Britain and supermarket chains carry heat-and-eat Indian curry meals on their shelves. And guess what - Indian curries outsell fish and chips. Naturally we were all keen to know what the visiting chefs had in store for us at the tasting session at Spice Haat, one of the two restaurants showcasing the Festival. What is interesting is that the produce used at the Festival is sourced locally but the method is all British. There were two starters - chilli chicken tikka and rosemary lamb tikka. The chilli chicken was boneless, well cooked and mildly flavoured; the rosemary lamb tikka also was tender and the flavour of the herb was just enough so as not to overpower that of the meat. Chef Mark's roast sea bass with cauliflower textures, raisin and Pedro Ximenez sauce with a chicory leaf artfully arranged over the top was quite a sight. A beautiful melange of textures and flavours, the fish flaked beautifully, the cauliflower looked deceptively raw (but wasn't) and the sauce punctuated with plump raisins was so absolutely delicious. This dish was in a class all by itself. The chefs were quite chuffed to present their Fish Madras, pomfret being the fish of choice. Personally I like pomfret as it a good vehicle for a well made masala. This too had a mild flavour and it was served on the bone. Prawn and squid balti had a nice thick gravy which was perfect with the accompanying Indian breads. The much awaited chicken tikka masala made its appearance. Thick, red gravy that coated chunks of chicken, garnished with slivers of ginger and blobs of cream was a bit of a disappointment for me - sweet, fruity yet tart with a coconut-ty aftertaste. The chef revealed that the gravy had been made with mango pulp, sultanas and a paste of almonds and coconut. It reminded me of recipes in old English magazines which called for a bottle of mango chutney to be added into a curry. 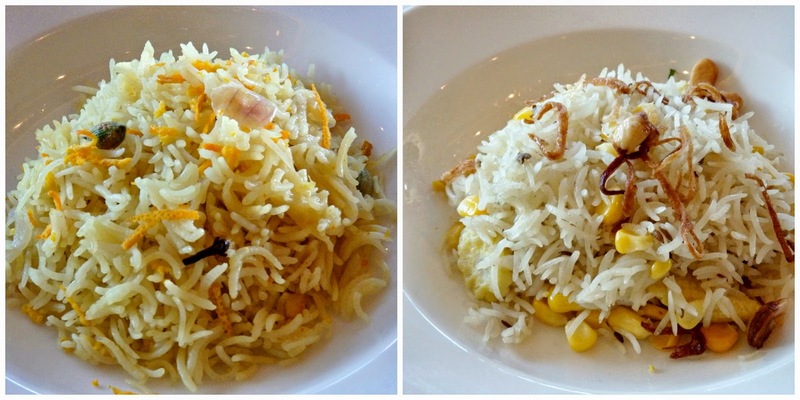 Both lamb dishes, Dak Bungalow and Shatkora were well cooked, with nuanced differences in taste. Another favourite was the chicken country captain. Faintly reminiscent of the Kerala style of roast chicken, the meat was well done and the dark, thick gravy was finger licking good. The vegetarian dishes were tasty, particularly paneer kabuli baigon. Some of my fellow diners enjoyed the well tempered Anglo Indian dal with steamed rice. On the whole, all the dishes were mildly spiced, had good balance of flavours and the use of oil was very restrained. The 2 kinds of pilao, Komala (presumably because of the bits of orange rind) and sunhera with corn kernels, fried onions and cashew nuts were also served. Dessert was another of the chef's creations -baked vanilla yogurt with strawberry sorbet, topped with strawberry bits, pistachios and wafer thin vanilla meringue. The sweetness of the meringue and the smooth sorbet were the perfect foil for the tartness of the yogurt. Ahh...heaven in a glass. 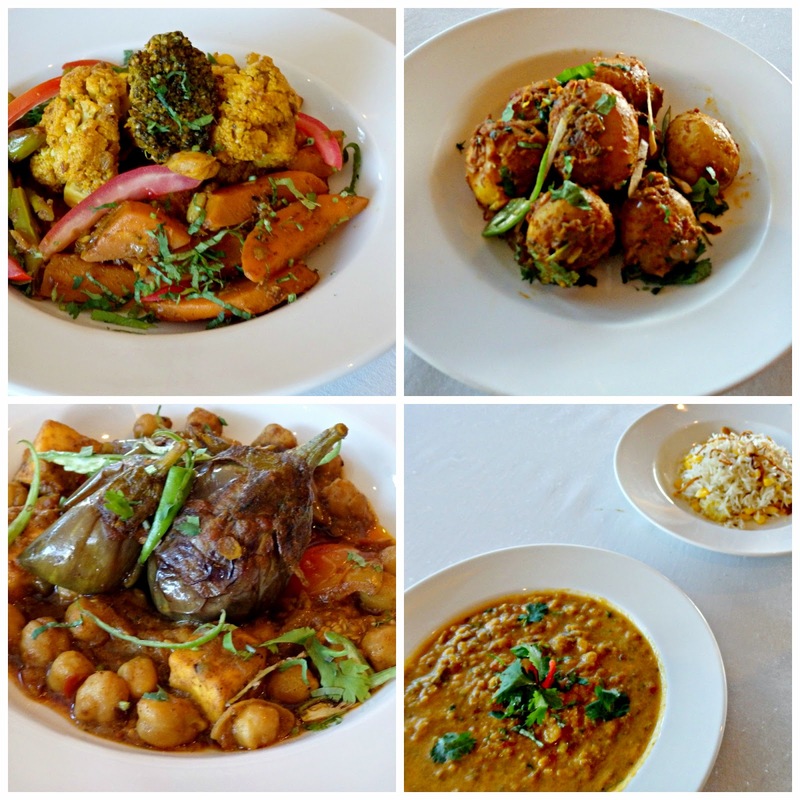 The Taste of Britain Curry Festival is on till March 14th. At Spice Haat, one can taste the UK style of curries; at Focaccia, Chef Mark will be presenting his experimental style of cuisine. Flipping through a copy of Curry Life magazine, I came across Chef Subrata's recipe for appam and chicken stew. How's that for coming back to your roots? 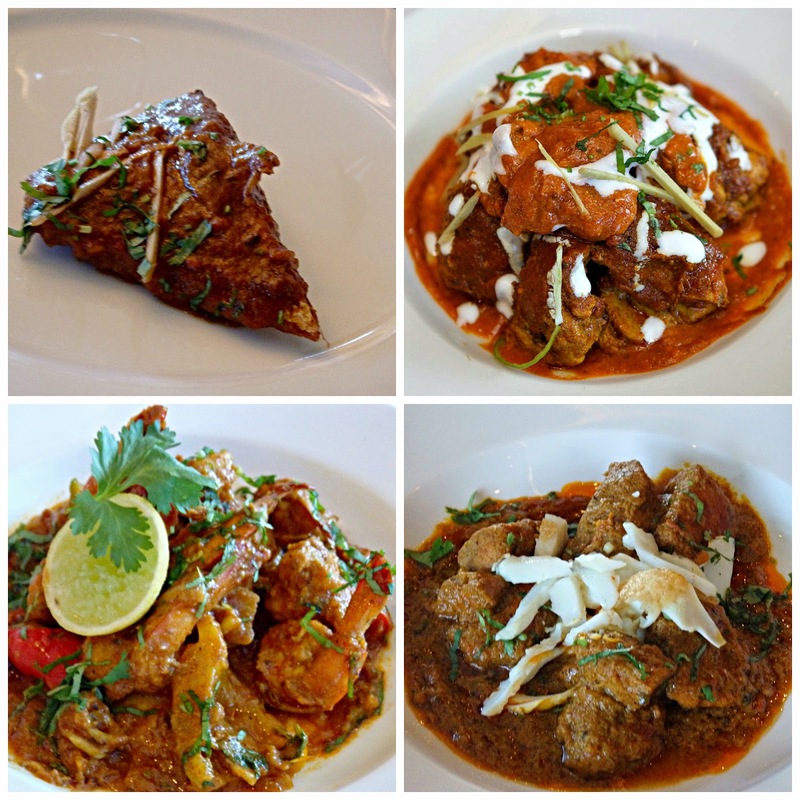 At 1299/++ and 1499/++ for the lunch and dinner buffet respectively at Spice Haat, a-la carte at Focaccia.